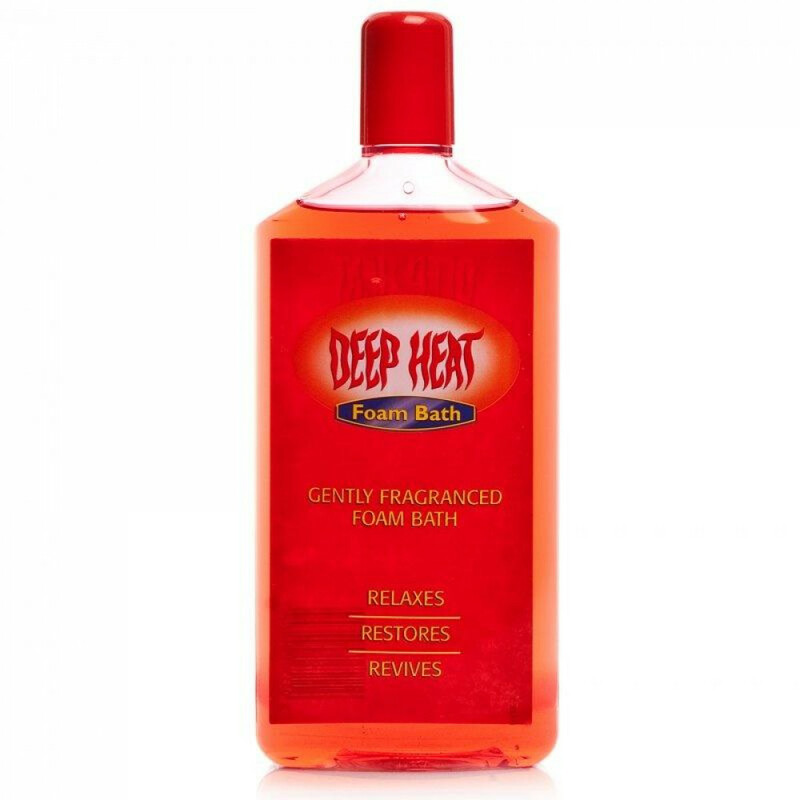 Deep heat foam bath provides quick relaxation when used while bathing from aching muscles and joints. If you often suffer from pains due to lumbago, sciatica, muscle stiffness and so on, constant use of the Deep heat foam bath solution will help soothe you. It has aquatherapeutic properties. Use the solution on a small area of the body to test for allergies. If you are prone to skin allergies, read the contents of the foam bath before applying it all over your body to ensure you are not allergic to any of the ingredients. Do not use the foam bath on skin areas already affected by infections or rashes. Use the solution all over your body with hot or warm water for best results. Do not restrict the foam only on places where you experience aches and pains. Rub it gently over your body and wash off after a few seconds. Do not keep it for too long. If you do not wash it off properly, you may suffer skin infections as the foam has soap in it too. Read the directions for use printed on the label properly before using it the first time. The main ingredients in the foam bath include Cocamide DEA, PEG-7 Glyceryl Cocoate, Sodium Laureth Sulfate, Aqua.